CHICAGO (AP) — Hip replacements are slightly more likely to fail in women than in men, according to one of the largest studies of its kind in U.S. patients. The risk of the implants failing is low, but women were 29 percent more likely than men to need a repeat surgery within the first three years. 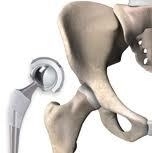 The message for women considering hip replacement surgery remains unclear. It's not known which models of hip implants perform best in women, even though women make up the majority of the more than 400,000 Americans who have full or partial hip replacements each year to ease the pain and loss of mobility caused by arthritis or injuries. "This is the first step in what has to be a much longer-term research strategy to figure out why women have worse experiences," said Diana Zuckerman, president of the nonprofit National Research Center for Women & Families. "Research in this area could save billions of dollars" and prevent patients from experiencing the pain and inconvenience of surgeries to fix hip implants that go wrong. Researchers looked at more than 35,000 surgeries at 46 hospitals in the Kaiser Permanente health system. The research, published Monday in JAMA Internal Medicine, was funded by the U.S. Food and Drug Administration. After an average of three years, 2.3 percent of the women and 1.9 percent of the men had undergone revision surgery to fix a problem with the original hip replacement. Problems included instability, infection, broken bones and loosening. "There is an increased risk of failure in women compared to men," said lead author Maria Inacio, an epidemiologist at Southern California Permanente Medical Group in San Diego. "This is still a very small number of failures." Women tend to have smaller joints and bones than men, and so they tend to need smaller artificial hips. Devices with smaller femoral heads — the ball-shaped part of the ball-and-socket joint in an artificial hip — are more likely to dislocate and require a surgical repair. That explained some, but not all, of the difference between women and men in the study. It's not clear what else may have contributed to the gap. Co-author Dr. Monti Khatod, an orthopedic surgeon in Los Angeles, speculated that one factor may be a greater loss of bone density in women. The failure of metal-on-metal hips was almost twice as high for women than in men. The once-popular models were promoted by manufacturers as being more durable than standard plastic or ceramic joints, but several high-profile recalls have led to a decrease in their use in recent years. "Don't be fooled by hype about a new hip product," said Zuckerman, who wrote an accompanying commentary in the medical journal. "I would not choose the latest, greatest hip implant if I were a woman patient. ... At least if it's been for sale for a few years, there's more evidence for how well it's working."